Women struggling with addiction encounter many of the same problems as men. The threat of losing friends and family, employment and home is very real for anyone in the grips of alcohol or substance abuse disorders. Women, like men, who are unable to get the assistance they need are also at risk of getting arrested. When it comes to certain narcotics both men and women are eligible for an overdose. A potentially fatal one at that. Addiction, without a doubt, is a debilitating illness for anyone no matter where they come from. Yet, there are concerns that are specific to women that are not to males. Specifically, pregnancy and having children. Women are not only the people who carry a fetus to term, they are also (usually) the primary caregiver to said child. Naturally, a serious use disorder can put both fetuses and children in harm's way. As is evident by the growing number of neonatal abstinence syndrome (NAS) cases in recent years. Also, state child welfare services being bogged down by a serious flux in the number of children needing foster care. Their parents being deemed unable to care for them anymore. Opioid addicted females who find out they are pregnant have some hard decisions to make. They may not seem hard to the average American, but then again, the average American hasn't experienced opioid withdrawal before, without the assistance of certain medications. 24 states and the District of Columbia view drug use during pregnancy as child abuse, The Washington Post reports. Given that some of the drugs used to detox opioid patients are habit-forming themselves, many doctors are opposed to prescribing drugs like buprenorphine to pregnant women. This can present a real problem. 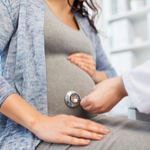 A survey from the Substance Abuse and Mental Health Administration (SAMHSA) showed that less than one-fourth of addiction treatment centers offer programs with pregnancy in mind. And, only a small percentage of those offer drugs to pregnant women that will ease the pain and cravings of withdrawal. Without access to such drugs, unnecessary stress can be placed on the child and the likelihood of relapse is quite high. Preventing relapse in early recovery is paramount. Without recovery, pregnant women are at risk of losing their child to the state. It can be extremely difficult to regain custody. If pregnant women are unable to access effective methods of detox and treatment, they are likely to choose not to go altogether. Thus, using throughout the entire pregnancy, putting the baby at great risk. It is vital that states adopt a more humanitarian approach to pregnant women with drug addiction. If you are a women in need of treatment for opioid addiction, and are also pregnant, please contact Whiteside Manor. Our treatment center staff understands that certain women with addiction have specific needs, and we are committed to helping them experience the miracles of recovery.